What makes Carden such a popular choice? Perhaps it is because in an ever-changing world, we believe some things should stay the same. At Carden, we want children to enjoy childhood. They should treasure classical literature such as Peter Rabbit, Black Beauty, and Robin Hood. They should prize great poetry from authors such as Robert Louis Stevenson, Henry Wadsworth Longfellow, and Rudyard Kipling. They should take pleasure in expressing themselves with art, music, drama, and writing. Our unique phonetically-based reading program helps students discover the joy of books early on. By reading aloud daily, children gain fluency and rhythm and become confident, capable readers. By learning from the best in classical literature, they learn important values and lifelong lessons. On a typical day at Carden, you will find a calm, busy atmosphere in the classrooms, often with small group of students and their teacher seated around a teaching table learning a math or language arts lesson. As you walk down the hall, you’ll notice the immense collection of fine art hung on the walls, part of our effort to help students experience the best the world has to offer. On the stage, you’ll discover a grade working on an upcoming play or music concert, and on the playground you’ll see a physical education class playing lacrosse, basketball, or soccer. 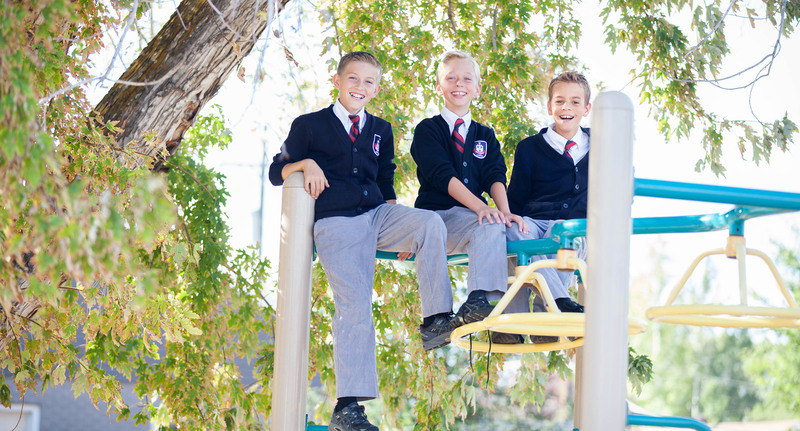 In the upper grades, you’ll find students studying Latin, perfecting their French, or mastering algebra. Some our students’ favorite extra-curricular activities include a skiing and snowboarding program for our 6th through 8th grades. In the summer they can enjoy backpacking through Yellowstone National Park to observe grizzly bears, wolves, and bison or hike throughout Utah’s three major geographical regions, discovering the unique natural history our state boasts.